If you haven’t read yet, spin back to the first part of this event at A carousel of dreams. After I had the dream in 2017 that the Lord gave me about the islands in the Philippines that He was sending us to do mission work, I decided to recall the game I played as a boy about the two islands. After my friends and I created the play money, between the ages of seven and ten years old, I took the rugs of the middle floor of the apartment at home and named them as islands. There were four rugs, two of which I played as a smaller Eastern island next to a bigger Western island. I thought the Eastern island I used was a bit big for the story but I used it anyway. I used to play Matchbox cars and Lego blocks on these “island” rugs. After a while with this game, I felt that I did not have enough islands, so after I mapped in crayon the rug islands on the middle floor I played on, then I went upstairs to map the rugs there. I went to my room and called the rug in my room the “captital island” saying, “I don’t usually play up here but this will still be the capital island.” After I mapped all the island rugs upstairs, I said, “O.K., these are the Northern islands. Now I will go down to the basement and those will be the Southern islands.” While going down the stairs from upstairs to the middle floor, I saw a runner rug on the stairs, then said, “Oh, here’s another island. Will this be a Northern island or a middle island? Well, I have all the middle islands so this will have to be a Northern island.” Then I went down to the basement and said, “Oh, no!” I was disappointed. I found only one big rug covering a pile of lumpy boxes placed for inactive storage. I said, “I can’t play on this!” I realized it would be too dangerous to climb on top of these rug covered boxes, though I could play a little bit on its sides if I really cared to. So, I had the Northern islands where the capital island rug was together with other islands and the one sticking out on the side on the stairs going down, the middle island rugs with the two where I usually played, and the big lumpy rug for the Southern island. Anything sound familiar about this? Sounds a lot like the Philippines and my call from the Lord to go there, now doesn’t it? Did I know this? NO, I didn’t! I did not at all know what the Philippines was when I was at that age. Even when I was older and later knew my missions call, I did not make the connection. It was not until after my dream from the Lord in 2017 that I decided to recall these things and remembered. I said to the Lord, “Wow! That was there all this time,” I also said to the Lord, “If I told anyone about this, who would believe it? I can hardly believe this myself and it really happened!” That is a lot of clear detail. What confirmation of my calling from as far back as nearly 50 years ago! Amazing! I was having, what I call, a “Lois Lane moment”. 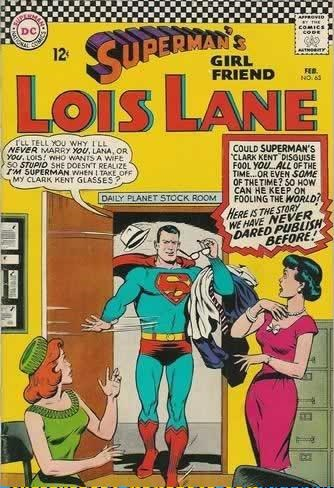 If anyone I believed seemed really stupid and missing the obvious it was Lois Lane from the story of Superman. How could she miss who Superman really was? The two men both looked same except for one major(?) point. Take off the glasses and you have Superman. Put the glasses back on and you have Clark Kent. How did she miss this? In the stories of Superman, Lois Lane finds this out eventually to her great surprise and shock at herself. Yet, I missed the obvious revelation about the Philippines which was deep in my past. Did I forget about it? Actually, I didn’t. I just simply did not perceive this before. How did I miss this? The game I played as a kid was so much in detail as a map of the Philippines as well as highlighting where I would be going. I played this game for so long and knew the details of it. I did not forget the game but I did not see its God-given revelation until God told me about it in the dream. I found this easier to deal with personally when I realized that God had me find out matters like this each at a set time. Now, let me please ask you, reader… What is Jesus doing in your life? Missed anything? Did you miss something and you don’t know it?